This will help you drive web traffic towards your site. We have preset 'Shares' to Facebook, Twitter, Tumblr and Pinterest. What does the 'Share' button do? 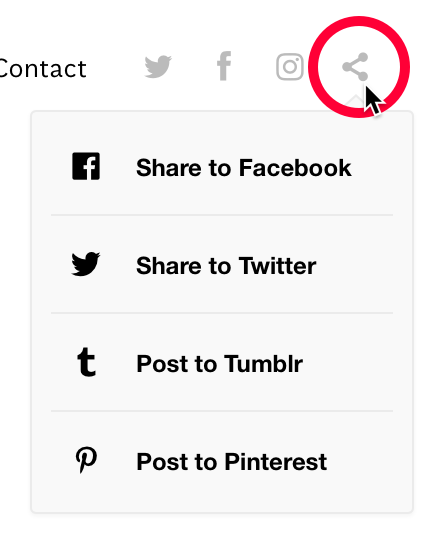 When enabled, the 'Share' link will appear in your live website's Site Menu and allows you (or viewers) to easily share your site. 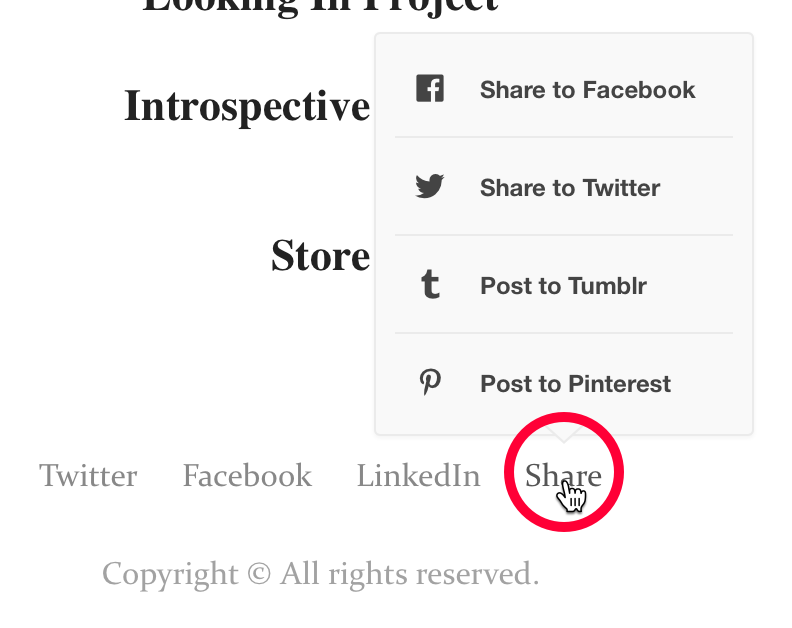 Where will the Share link appear? Depending on your theme the 'Share' link may either be displayed as text or an icon. Share icon link shown in top-right corner of Site Menu of the 'Panorama' theme.